When David Ben-Gurion proclaimed the establishment of Israel on May 14, 1948, at the old Tel Aviv Museum of Art, Robert Capa was there. 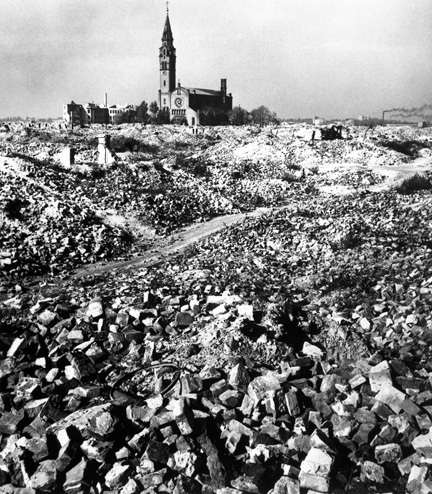 The world’s most famous photojournalist had covered the Spanish Civil War, the Allied conquest of North Africa and Italy, the invasion of Normandy, and the liberation of Paris. He had hobnobbed with Hemingway, romanced Ingrid Bergman, and toured Stalin’s Russia with John Steinbeck. Now he was in the Jewish homeland for the first time. 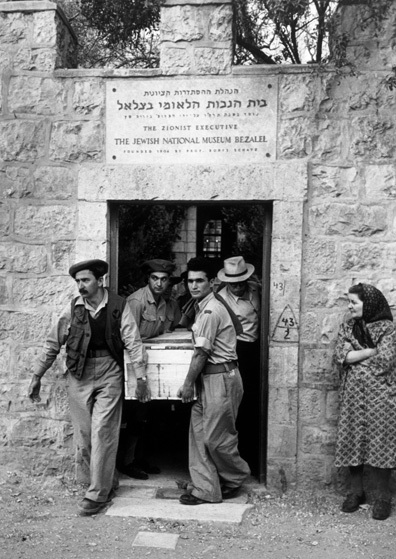 His striking image of the state’s founding moment was recently shown in the postmodern wing of the Tel Aviv Museum of Art, one of the 40-plus prints in Robert Capa: Photographer of Life (Tzalam shel ha-chayim in Hebrew). The show’s English title is a fine pun, since Capa’s main venue was Life magazine, which in 1937 made his “Falling Soldier” picture an anti-fascist emblem of the Spanish Civil War. He was only 23. A decade later, Capa recalled in a radio interview how he had just reached out of a trench and clicked the shutter without looking and two months later discovered he was famous. In his thorough, unauthorized biography Blood and Champagne: The Life and Times of Robert Capa (2002), the British popular historian Alex Kershaw challenged that version, suggesting that Capa had staged soldiers in action during a lull in the fighting, attracting an actual enemy sniper. Wall text alongside the disputed photo at the Tel Aviv show remarked that, “It might be that the secret of the photograph’s magic—depicting that moment between life and death—and of the myth surrounding it, lies in the inability to reach a decisive answer.” The secret of the photograph might also be said of the photographer, who lived to the fullest, courted death, and created a heroic image of himself. 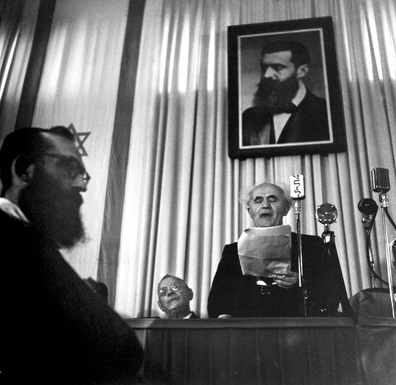 Here, then, is Robert Capa’s Ben-Gurion, standing before the microphones under a big photo of big-bearded Theodor Herzl and framed in the foreground by the profile of a similarly bearded Orthodox Jew, slightly out of focus, larger than either Herzl or the speaker. 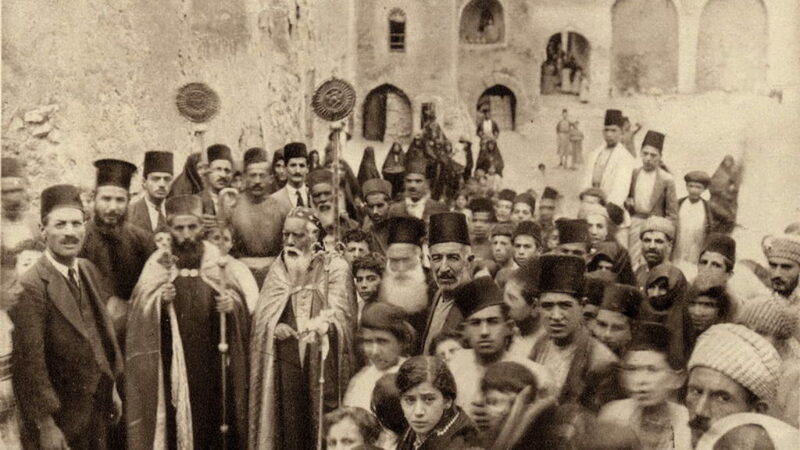 Israeli museum-goers were surely prone (as perhaps intended by the show’s skillful curator, Raz Samira) to read the image of the State’s inception as ironic, a prescient caution about religion and politics. I’m more inclined to read the picture as romantic, a hint of Capa’s bond with another Budapest-born Jewish artist, the secular playwright who embraced all Jews, bearded and otherwise, in a dream of return. What Capa had in mind is another question. The title Slightly Out of Focus alludes to the fate of his D-Day pictures, shot under heavy fire, only to be ruined by a Life darkroom technician in London who accidently melted the film emulsions under deadline pressure. Life published the few salvageable negatives, including the iconic image of a lone soldier edging through the water toward Omaha Beach. “Immense excitement of moment made Photographer Capa move his camera and blur picture,” read the caption, shifting the blame. Capa resented the implication that he was less than steady under fire. “If your pictures aren’t good enough, you’re not close enough,” he used to say. “Despite all his inventions and postures, Capa has, somewhere at his center, a reality,” wrote John Hersey in 1947, in his article “The Man Who Invented Himself,” a subtle review of the memoir for a short-lived literary magazine. Capa, wrote Hersey, “has the intuition of a gambler . . . His courage is partly his apprehension of the odds, and partly innate.” Eventually the odds caught up with him. He stepped on a mine in Vietnam on May 25, 1954 and became the first American journalist to die in Indochina. He was 40 years old. Also at Capa’s center was his Jewish identity, be it ever so blurry. The son of middle-class dressmakers, he was born Endre Friedmann and fled fascist Hungary in 1931 for Berlin. A year later he published photographs of a fiery Leon Trotsky orating in Copenhagen. The most dramatic of these was in the Tel Aviv show, hanging alongside the Ben-Gurion picture and an image of Menachem Begin, his back to the camera, captivating a Tel Aviv crowd in 1950. In 1933 he moved to Paris, called himself André, and met a young Polish-German Jewish emigrée named Gerta Pohorylle (she worked under the name Gerda Taro), who became the great love of his life. Together they took pictures and invented a mysterious, dashing photographer named Robert Capa who charged high prices for his brilliant work. “Money poured in,” wrote Hersey. “The association was happy, for Capa loved Gerda, Gerda loved Andrei, Andrei loved Capa, and Capa loved Capa.” Together, they covered the Civil War in Spain, where Gerda was killed in 1937. A little bit it is John Hersey who invented the man who invented himself, or something like that. There are so many inventions going around about me . . . It’s kind of a corny kind of story, because sure enough, I had a name which was a little bit different from Bob Capa, that was long time ago in Paris, around 1934, 1935, and that real name of mine was not too good, you know . . . I couldn’t get assignment any more . . . I needed a new name very badly. Once a year, usually sometime in April, every self-respecting Jewish family celebrates Passover, the Jewish Thanksgiving . . . When dinner is irrevocably over, father loosens his belt and lights a five-cent cigar. At this crucial moment the youngest of the sons—I have been doing it for years—steps up and addresses his father in solemn Hebrew. He asks, “What makes this day different from all other days?” Then father, with great relish and gusto, tells the story of how, many thousands of years ago in Egypt, the angel of destruction passed over the firstborn sons of the Chosen People, and how, afterwards, General Moses led them across the Red Sea without getting their feet wet. Among other inaccuracies, Capa was not the youngest in his family—that was Cornell Capa, who adopted his brother’s invented surname and cultivated his legacy for more than half a century. All the same, it is interesting that Capa chose to frame the end of World War II in terms of Jewish memory and redemption. In June 1945, a month after the Allies had accepted Germany’s surrender, Capa and Irwin Shaw were in the lobby of the Ritz Hotel in Paris when Ingrid Bergman walked into their lives. They wrote a note to the glamorous star of Casablanca and Gaslight, jointly inviting her to dinner. She was smitten with Capa, and they spent weeks together in Europe that summer before she returned to her husband in California. Capa went to Berlin to photograph the first postwar Rosh Hashanah for Life, and then she persuaded him to come to Hollywood. When he landed in town in December 1945, she was s tarring in Alfred Hitchcock’s anti-Nazi thriller Notorious, and Capa shot some stills on the set. He got a job with a production company but quickly felt confined. 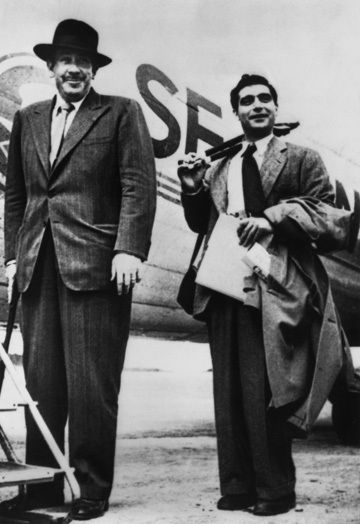 “After more than a decade of war,” writes biographer Alex Kershaw, “Capa had started to exhibit many of the symptoms of post-traumatic stress disorder: restlessness, heavy drinking, irritability, depression, survivor’s guilt, lack of direction and barely concealed nihilism.” He also unwisely played poker with John Huston, Howard Hawks, and Humphrey Bogart. He and Bergman continued their affair, and he even took her to meet his mother Julia. Bergman talked of divorcing her husband, a Swedish neurosurgeon, to marry Capa, but he could not commit, or settle down, and they finally parted in the spring of 1947. “Nineteen forty-seven was a turning point in Capa’s life,” writes curator Cynthia Young in her handsome new volume, Capa in Color. “He founded Magnum, the photographers cooperative agency he had dreamed of since 1938, and traveled to the Soviet Union.” Capa and his partners in Magnum—notably Henri Cartier-Bresson and the Polish-Jewish David Seymour, known as “Chim”—now owned their own negatives, retaining copyright of their pictures. It was an act of radical defiance against Time-Life and its corporate culture. Politically, Capa was a dedicated enemy of fascism, not a communist, though his work had appeared in a communist paper. He was keen to visit Russia, but had been turned down twice for a visa. Now he teamed up with John Steinbeck, respected by the Soviets for The Grapes of Wrath. Among the more intriguing photos in Capa in Color is a black-and-white snapshot of Capa and Steinbeck about to board a plane for the USSR. Steinbeck at age 45 is tall and dignified in a handsome hat, whereas Capa could pass for his kid brother, young and smug. Scores of pictures with helmet and dangling cigarette have typecast Capa as a Hollywood heart-throb, but in this shot, tripod jauntily perched on his shoulder, he seems more like Sammy Glick or Woody Allen’s protean Zelig. Steinbeck wrote a book called A Russian Journal, with photographs by Capa. 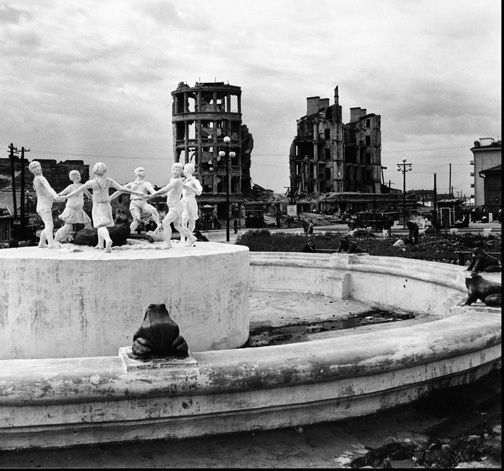 In a story for the British weekly Illustrated, Steinbeck dwelt on the omnipresent statues of Stalin, and Capa’s best pictures were a color shot of a young one-legged man among visitors to Red Square and a staggering black-and-white of the Children’s Dance Fountain amid the devastation of Stalingrad, a photo displayed in the Tel Aviv exhibit. The Illustrated story ran on May 1, 1948. One week later, on assignment for that same magazine, Capa landed in Tel Aviv. It was one of his patented lines. He was quoted the same way in Illustrated in the text accompanying his gripping pictures of the Arab-Israeli war. But “once again,” the magazine continued, “the violence of war has caught up with Robert Capa.” In late May, Capa had gone to the Negev to cover the defense of Kibbutz Negba as hundreds of Egyptian shells flew overhead. 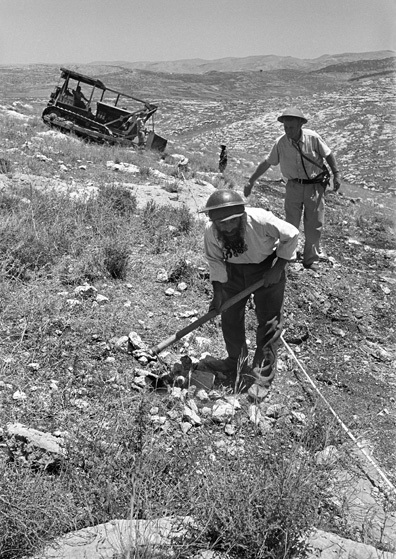 On July 3, Illustrated ran a photo essay called “The Road to Jerusalem Was a Road of Death,” for which Capa had photographed soldiers in action. He also covered the laborious carving of the so-called Burma Road, a project commanded by the legendary American Colonel David “Mickey” Marcus to circumvent the siege of Jerusalem. His photo of a muscular Marcus working out on an exercise bar appeared in that issue, alongside another—taken shockingly soon thereafter—of Marcus’s funeral in Jerusalem. On June 11, Marcus was mistakenly killed near Abu Ghosh by an Israeli sentry. The photographs of the Israeli war recall the pictures of the Spanish Civil War: sandbags against a wall, rifle slits, someone scampering across an area under fire, volunteer units, a soldier at rest reading a newspaper in the shade of a tree, the ubiquitous stocking cap, a meal eaten against a wall pitted with bullet holes. No image fitting that description hung in the Tel Aviv show, but it appears in Report on Israel, the book that Capa and Irwin Shaw published in 1950. The caption reads “Stonecutters from besieged Jerusalem working on that Middle Eastern necessity—a detour,” but under its sun-baked banality is the story of refugees carving a homeland. 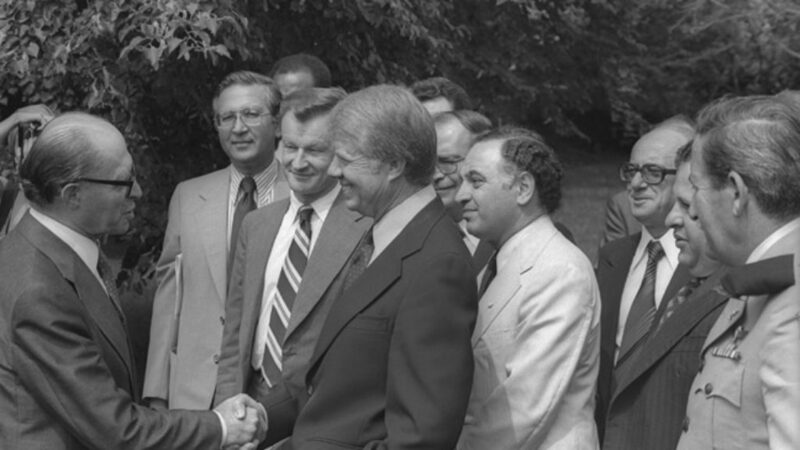 It’s not a great photograph, but its triangulated composition rhymes with the picture of Ben-Gurion and Herzl. The cover choice for that book shows how Capa’s cynicism melted away in Israel. Here again we find a religious Jew with a beard. The man eyes the photographer warmly, with only the faintest trace of suspicion, or amusement. He is a strong man, a builder, an “old-new” Jew wearing both kippa and tzitzit, yet he looks, at first glance, like he’s carrying a cross. 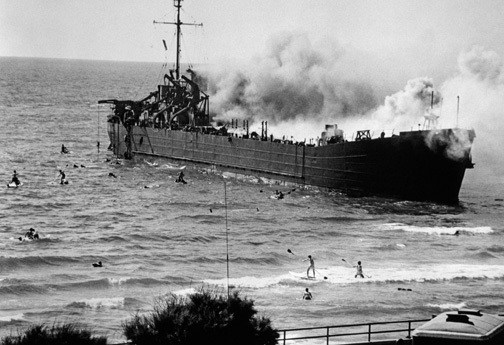 On June 21, the same day the Capa interview ran in Al Ha-mishmar, the ship Altalena, carrying weapons for the Irgun, grounded itself at midnight off a Tel Aviv beach. The following afternoon, the confrontation between the Haganah—now known as the Israeli army—and the Irgun or Etzel, the right-wing militia commanded by Menachem Begin, reached its bloody climax. Ben-Gurion had demanded that the Irgun surrender its weapons and disband in order to create a single fighting force for the new state. Although Begin wanted to avoid violence, he could not accept Ben-Gurion’s terms. Ben-Gurion ordered that the ship be shelled. The Altalena caught fire but luckily did not explode. Shooting broke out on the beach. And there to capture the fratricidal tragedy was the ubiquitous Robert Capa. Capa sold his Altalena pictures to Life, which on July 12 ran two pages with the headline “JEW FIGHTS JEW IN THE HOLY LAND/Photographer records ill-fated Irgun landing.” The Irgun, opined Life, “chose a singular time and place” for its action, in the midst of a truce and “under the noses of U.N. observers sweating it out” at a beachfront hotel. “Meanwhile Photographer Robert Capa took up his own position on the balcony of the hotel and photographed this remarkable blow-by-blow account.” There are five small photos as the battle is joined, and one big, climactic shot: “CREWMEN AND VOLUNTEERS TAKE TO THE WATER WHILE THEIR ILLEGAL ARMS AND AMMUNITION—REPORTEDLY ENOUGH TO SUPPLY 4,000 TROOPS—GO UP IN SMOKE.” That photograph is very similar to the one that was displayed at the Tel Aviv Museum of Art. A color picture of the burning Altalena appears in Capa in Color. It is taken from the same angle, with a giant trumpet of smoke, but there are no Irgun men in the water or rescuers on paddleboards. The shrubbery casts long shadows, but there was enough light for a sharp color exposure, perhaps with the use of a tripod. The beachfront seems to have been cleared of spectators. A few boys ride away from the beach on bikes, apparently turned away by guards. It is evidently the quiet afternoon after the battle. When Capa was close enough to get his pictures, he assumed a half-crouching stance with his legs well apart. All of a sudden, a bullet grazed the inside of his thigh. For one sickening moment of blind panic, before he could locate the area of pain precisely, he feared that the bullet had unsexed him. 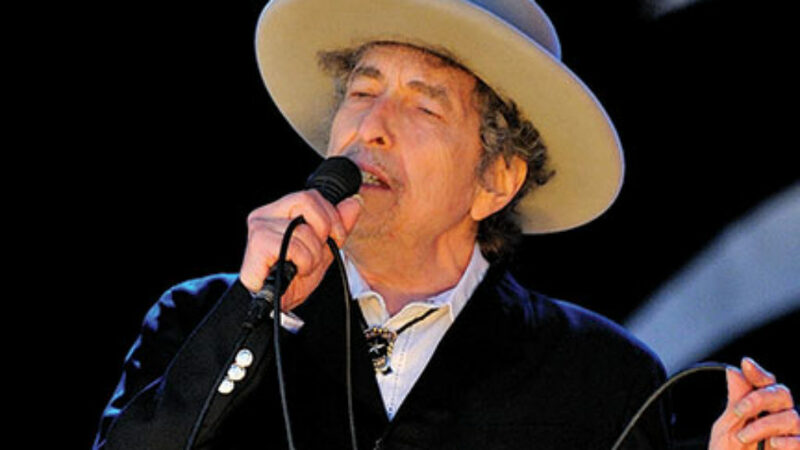 When he told the story later, he claimed that, despite the danger around him and the encumbrance of the cameras around his neck, he undid his belt on the spot and pulled down his pants, all the while spinning like a dervish from fear and pain. Everything was intact; the bullet had only grazed his thigh, leaving a bad bruise but not even breaking the skin. He told his friends that, taking this terrifyingly close call as a warning, he ran back to his hotel and left Israel on the next plane for Paris. If he was thus traumatized, when and how did Capa take the sharply focused color picture of the ship burning, with no men left in the water? And if he’d really been on the beach during the confrontation, why didn’t he take any pictures before being grazed by the bullet? Why are all his published shots of the Altalena story taken from a high angle, the balcony? His other war pictures from Israel are closer, better. Capa may not have been “close enough” this time, but he was well placed to spin an entertaining yarn. He also may have made Capa feel homesick for Israel. At any rate, when Capa learned that Irwin Shaw was headed for Tel Aviv in the spring of 1949 on assignment for The New Yorker, he suggested they team up and get a book out of it. Gifted and prolific, Shaw had a play on Broadway, Bury the Dead, when he was 23. In 1946 and 1947 he published short stories in Collier’s and The New Yorker about a Jewish survivor in Tel Aviv and a British policeman in Haifa. His best-selling World War II novel The Young Lions (1948) focused on anti-Semitism in the American army. 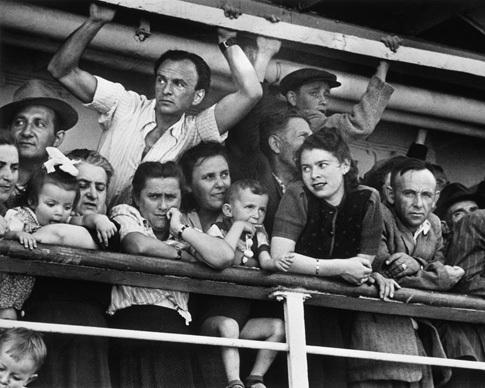 Shaw, too, was intrigued by the ingathering of the exiles in the new Jewish state, but, perhaps because he was born in the Bronx not Budapest, he doesn’t seem to have taken the story as personally as Capa. 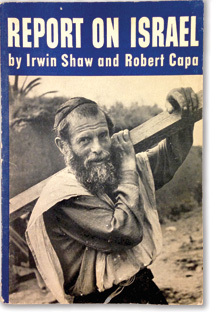 Report on Israel by Irwin Shaw and Robert Capa, published by Simon & Schuster, New York, 1950. They arrived in time to cover Israel’s first birthday. In Shaw’s “Letter from Tel Aviv,” published in The New Yorker on May 28, 1949 and retitled “Independence Day” as the first chapter of Report on Israel, Shaw described denizens of Tel Aviv sitting on beach chairs on the fifth of Iyar, watching “their children swim out through the pretty green water to the rusting hulk of the LST Altalena . . . making a plaything out of a tragic monument.” The 1949 photo of the ship and holiday crowd, shot this time from beach level, takes up a double spread at the center of the book, its largest picture, the heavy heart of Capa’s Report on Israel. Little hard liquor is drunk, and a drunkard is almost certain to be a visiting American. The food suffers from the residents’ general impatience with the gentler aspects of civilized life. According to one’s sympathies, the people are either magnificently self-confident or unpleasantly arrogant about their abilities. Indeed, Capa’s third trip to Israel, in 1950, was for the UJA, which asked him to direct a short fund-raising film about immigrant absorption. He was, reportedly, a less than professional filmmaker, unnerving UJA chairman and former Secretary of the Treasury Henry Morgenthau during a shoot at a moshav named in his honor. On that same trip, however, Capa took some of his most expressive pictures of Israel. A dramatic shot of housing construction near Beersheva, reproduced in Capa in Color, is one of the many Capa pictures celebrating the rapid development of the country. 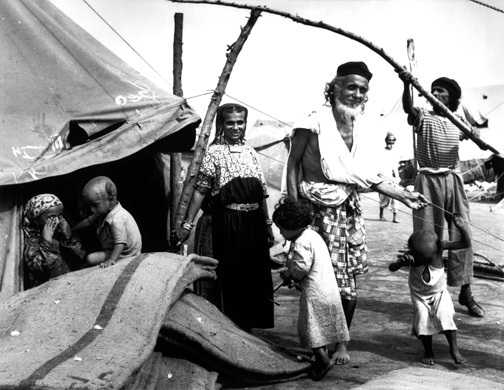 An elegantly composed black-and-white of Yemenite olim, captioned by Life as “Tribesmen from Arabia,” was among the half-dozen images from the ma’abarot, immigrant transit camps, that, for me, were the most memorable pictures in the Tel Aviv show. An old man fitting that description turns up not in Look but in the Shaw-Capa book, with laughing eyes barely open and a philosophical grin. “Settling in Israel himself was increasingly on Capa’s mind,” wrote Richard Whelan, providing, as usual, no source for this intriguing claim. Be that as it may, Capa spent most of the early 1950s based in Paris. He hung out at the Longchamps racetrack with famous friends and shot colorful stories for Holiday about the good life in Rome, Paris, and the French resorts. (A black-and-white print of revelers at Biarritz was the only post-Israel picture at the Tel Aviv Museum show.) He skied with Shaw at Klosters, a Swiss village popular with Hollywood celebrities. “The last time I saw him,” Shaw wrote in 1982, “was at the railroad station of Klosters, where he was serenaded by the town band as he climbed aboard the train with a bottle of champagne and someone else’s wife.” Capa was on his way to a job in Japan, where he received a cable from Life, asking if he could replace a photographer in Vietnam whose mother had fallen ill. His pictures of French soldiers crossing a field are the last images in Capa in Color. Stuart Schoffman, a journalist and screenwriter, emigrated from Hollywood to Jerusalem in 1988. His latest translation of Hebrew fiction, The Extra by A.B. Yehoshua, will be published this year by Houghton Mifflin Harcourt. 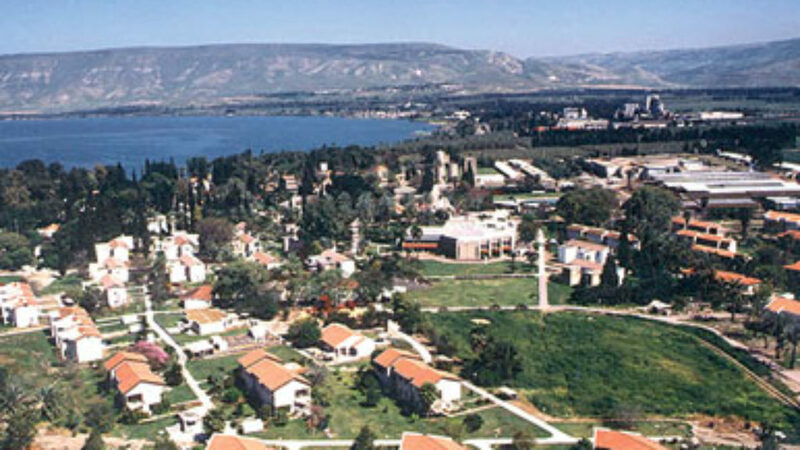 Memories of Israel's early prime ministers, by the man who wrote their speeches.